This dessert has it all! Fancy, visually delightful, and layers upon layers of lovely flavor — all without being overwhelmingly sweet. I just ate part of one, and have to admit, I moaned a little. 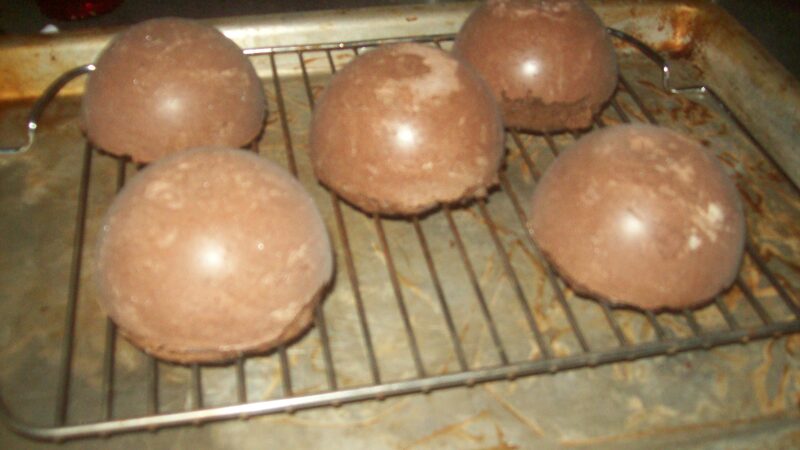 Making German Chocolate Bombes was more-or-less an all-day/two day project, but it’s January and I’m in the house needing to bake anyway. I’ll show you how I did it. 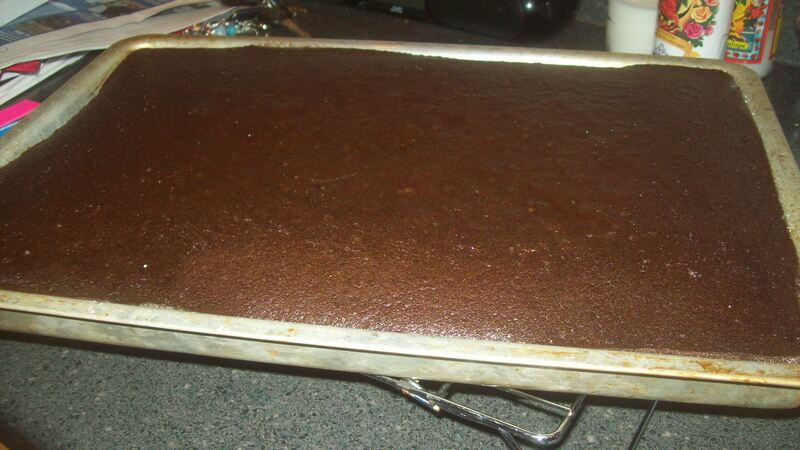 First, make a chocolate sheet cake. 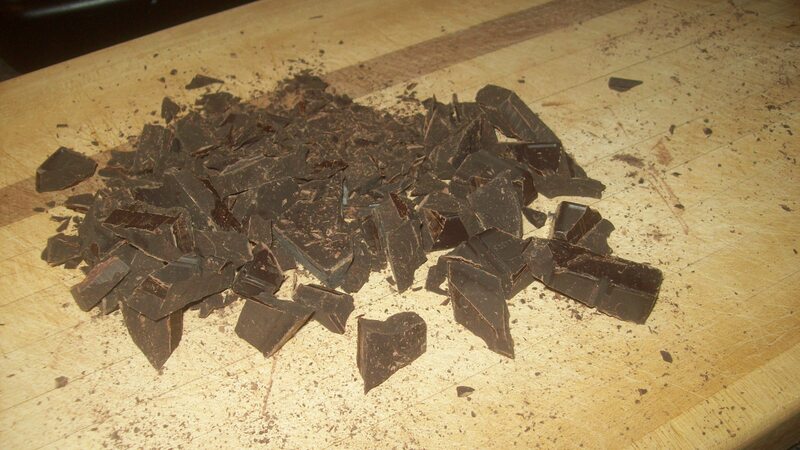 Let’s start with some chopped chocolate. 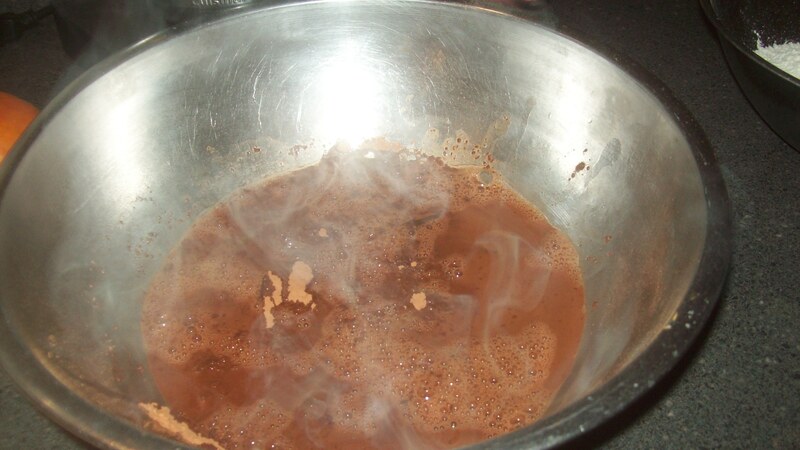 Chocolate and cocoa melt with the help of boiling water. 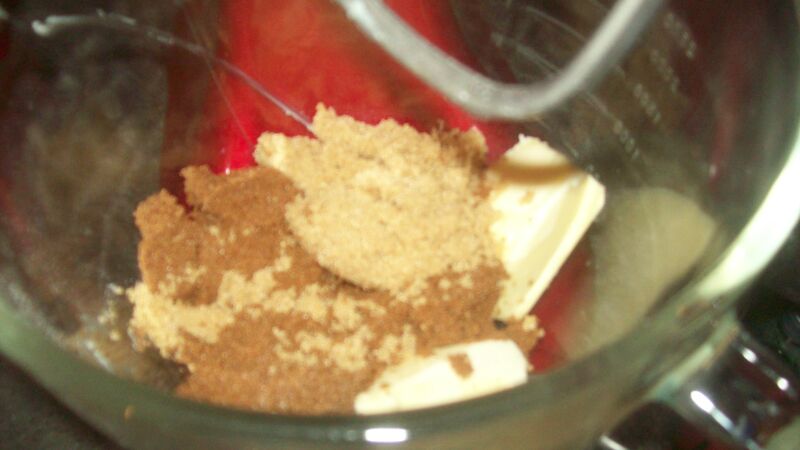 While that cools, cream some butter and brown sugar in the stand mixer. Here’s the finished cake. Lovely. Time to make the filling! 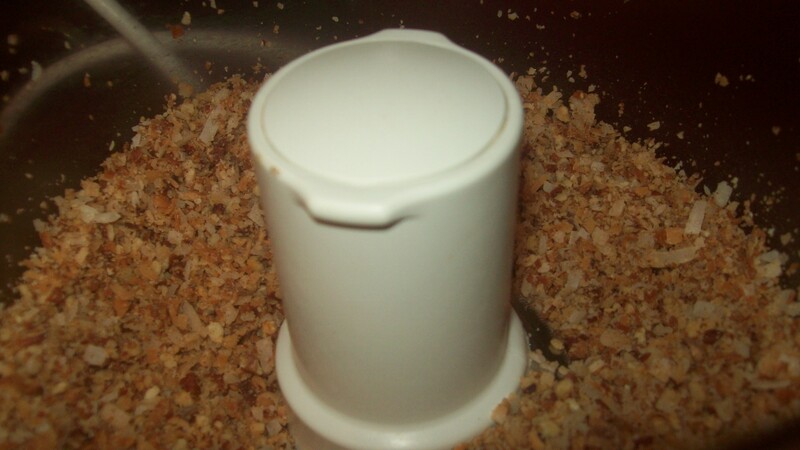 Process toasted coconut and pecans into a finer chop. 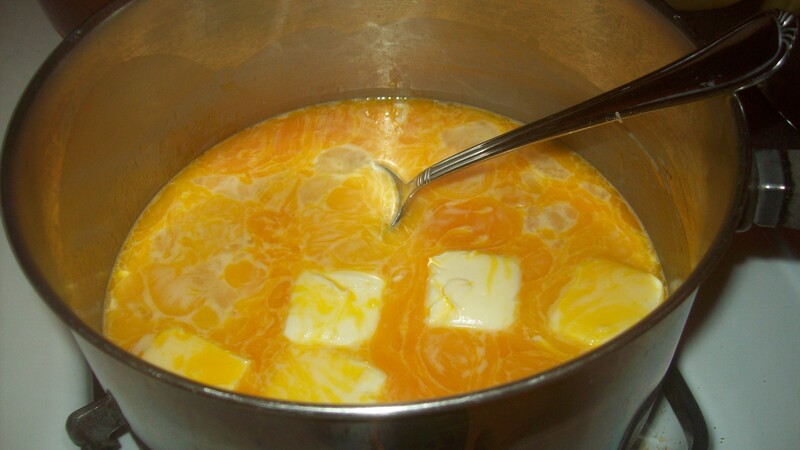 Heat egg yolks, condensed milk, sugar, butter, and vanilla. 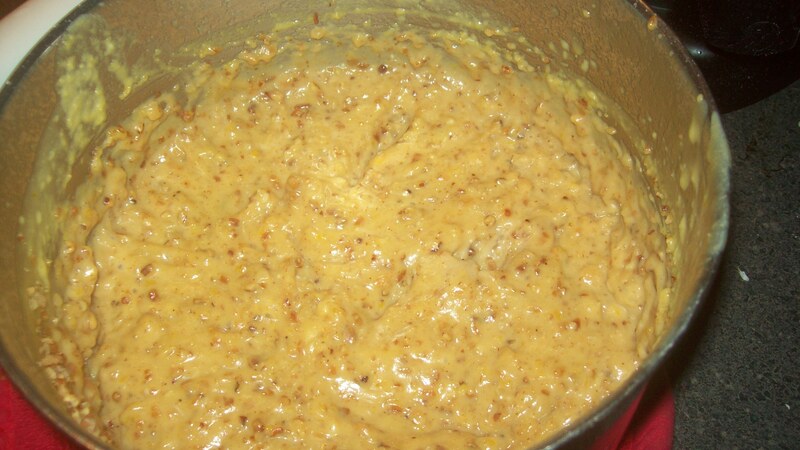 Beat the egg/butter mixture with the coconut and pecans. Filling — yum! Chocolate and butter melted together in a double boiler. 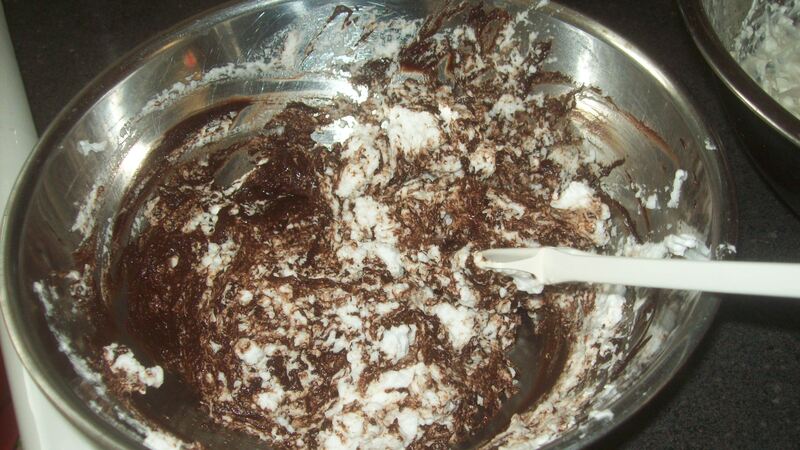 Egg whites are mixed in the stand mixer until they’re stiff while the hand mixer whips heavy cream. 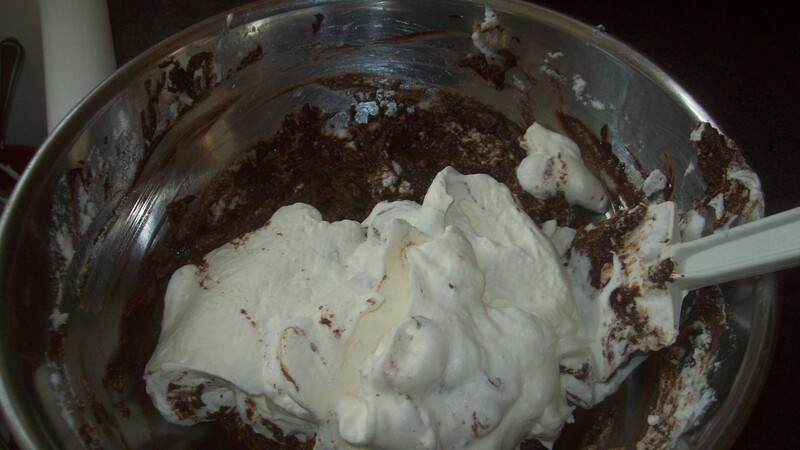 Here, the whipped cream is folded into the chocolate. Then, the egg whites are folded in. At this point, fold and fold again, until no streaks of white remain. 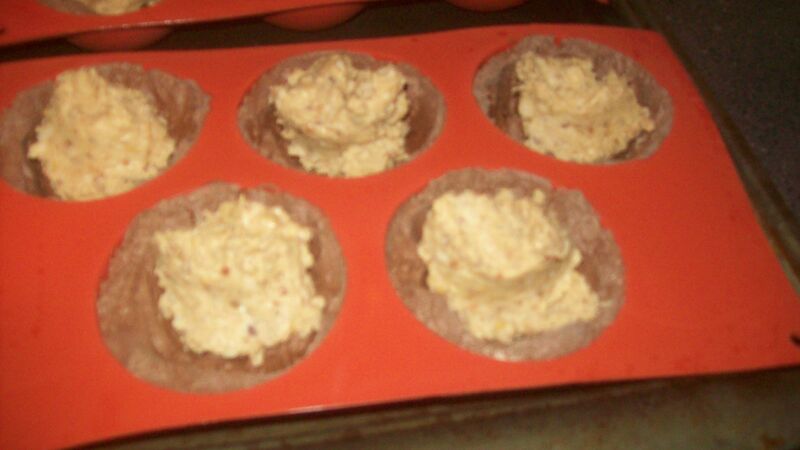 Next, to start assemble the bombes. 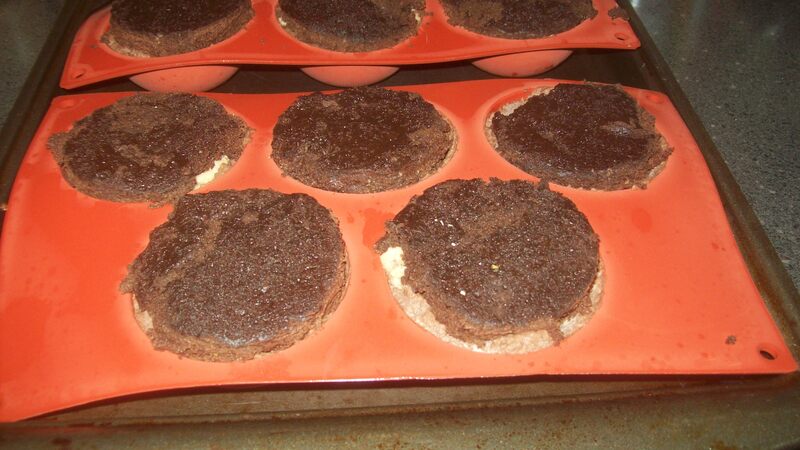 The mousse is spooned into the molds and smeared inside evenly. 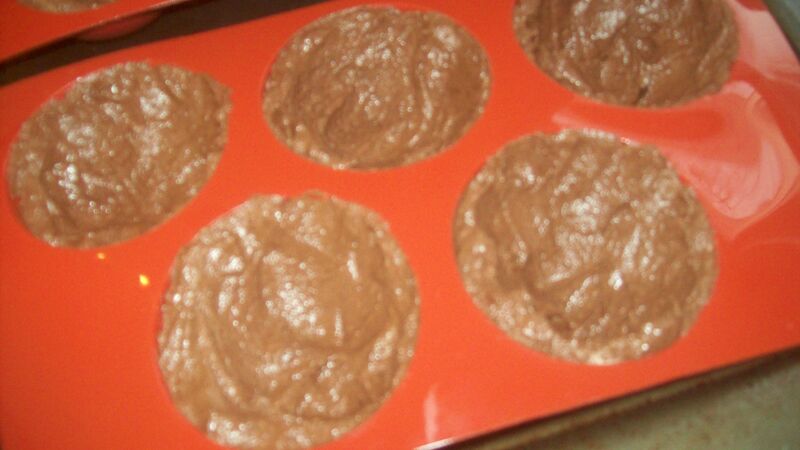 The molds are frozen to set the mousse. The frozen mousse is stuffed with the coconut-pecan goodness. Finally, a round of cake is smooshed on top. I cut the cake with a cookie cutter. When I covered the filled molds with plastic wrap, I pressed down on the cake to squeeze everything together a little more. Back in to the freezer! Overnight is good, but at this point you could freeze them for several days, making a fancy dessert available when you need it most! Out of the freezer, the bombes are popped out of the molds on to a rack…..
And covered with a ganache made of bittersweet chocolate and cream. Voila! 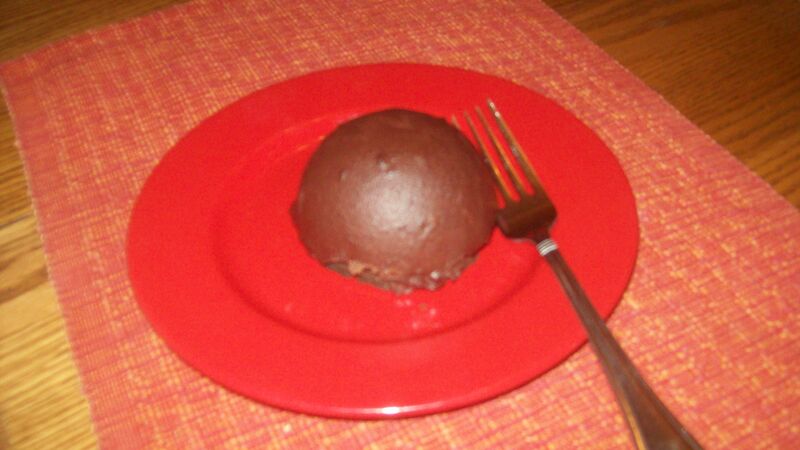 Fun fact of the day: the bombe was introduced as a dessert in the late 1800s. 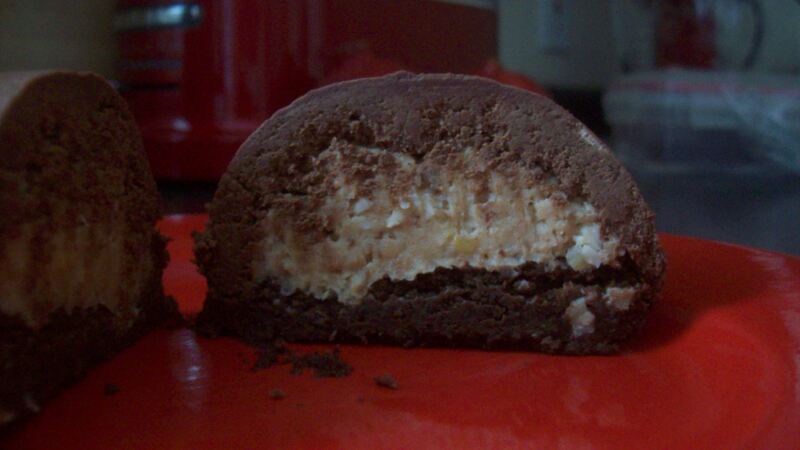 It was typically an ice cream confection and took its name because it was shaped like a cannonball. Oh, Sarah — be still my heart. I would simply swoon!